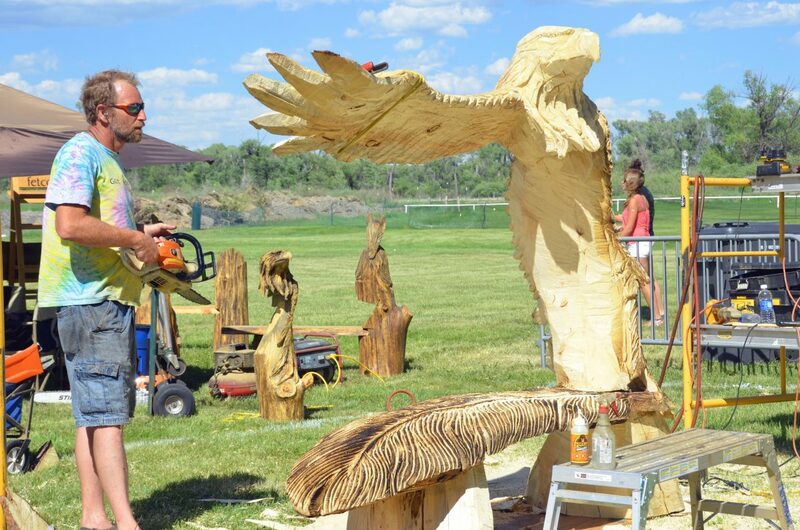 Ron Eye, of Vernal, Utah, takes a step back Friday afternoon while considering his next cut for "Refuge," an eagle-themed bench, his entry for the 15th annual Whittle the Wood Rendezvous at Loudy-Simpson Park. Saturday is the final day for the event, which includes the announcement of the winning carvings, vendor booths and a beer garden, as well as free live music from Atlanta Rhythm Section and other bands. The event continues through Saturday, featuring 12 carvers from across the country. All events take place at Loudy-Simpson Park unless otherwise noted. There is no admission for spectators at Whittle the Wood or the Car Show. Coolers are welcome at Whittle the Wood, but alcohol is not allowed beyond that provided at the beer garden. Free shuttles will be available all day during the Saturday activities of Whittle the Wood from The OP Bar and Grill, 534 E. Victory Way; Mathers’ Bar, 420 Yampa Ave.; J.W. Snack’s Bar & Grill, 210 E. Victory Way; and Kmart, 1198 W. Victory Way. For more information about Whittle the Wood, call 970-826-2029 or visit www.whittlethewood.com, www.facebook.com/...> or www.twitter.com/w...>. For more information about the Car Show’s activities, which includes cash prizes for entrants and a poker walk for spectators, call 970-629-9600 or visit www.facebook.com/brylcarshow. Ask the organizers, the participants or those who are just standing and watching — it keeps getting better with age. The final day of the 15th annual Whittle the Wood Rendezvous is Saturday at Loudy-Simpson Park, with hours of activities in store for the culmination of Craig’s biggest regular event of the year. Craig Parks and Recreation director Dave Pike said the time has flown by from the earliest days when it was just a handful of carvers and a few hundred people congregating in Craig City Park in 1999. “Has it really been that long?” he asked while recollecting the history of the Rendezvous. The rocket pace with which this week has passed is visible in the works of the carvers, who in a matter of days have taken a dozen tree stumps and brought out a new fleet of public pieces of art, running the gamut from a creature of the briny deep to an elk with a cluster of trees on the other side. Each of the carvers puts their own touches on their work, whether it’s painstakingly sanding to create a smooth finish or intentionally leaving many layers for a textured appearance. Some even progressed to painting and lacquering by Friday afternoon as spectators viewed their process. Among those chatting up carvers was Erin Fowler, of Columbus, Ohio, the daughter of competitor Ted Scherer. “It’s amazing to see how these guys progress with their pieces,” she said. Although more people frequent Loudy-Simpson in the final two days of Whittle the Wood, Fowler said the only way to get the full effect is to see it from the very beginning as the trees become something creative. Craig resident Kathy Fagan agreed with this, saying her favorite part of the event is the surprise that comes each day with new developments. “It never turns out what I expect it’s going to be,” she laughed. The live music is the other draw, she said. Dixie Leadfoot & The Chrome Struts and Madison Rising provided tunes Friday, and plenty more are to come from SandRock Sound and Tuscan Road, leading up to main band Atlanta Rhythm Section — joining the likes of Blue Öyster Cult, The Outlaws and Cracker from previous years — to close the day. 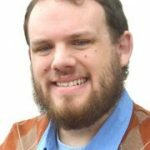 Before that are features like the early morning Wake the Whittler 5K and One-Mile Fun Run provided by Friends of Moffat County Education, as well as the Bear River Young Life Car and Motorcycle Show downtown. A beer garden and more than 40 food and crafts vendors will be available, and the carvers also will be selling their wares. Likewise, the carvers won’t be slowing down on the final day, putting the final touches on their entries for the afternoon judging, in addition to the separate Quick Carve Competition. Last year’s champion, Ron Eye, of Vernal, Utah, likened the week, and especially the Quick Carve, to putting on a show for those in attendance. The Rendezvous may be a contest, but it’s far from cutthroat, Eye said. Look around throughout the week’s events, and it’s typical to see carvers lending a hand to each other, sharing tools or giving advice with little worry about being beaten out for the cash prizes at stake. As someone who’s won before and placed multiple times, Eye said the need to take first place is almost nonexistent this year, and he’d rather make and keep friends than come out on top. There is no admission for spectators at Whittle the Wood or the Car Show. Coolers are welcome at Whittle the Wood, but alcohol is not allowed beyond that provided at the beer garden. Free shuttles will be available all day during the Saturday activities of Whittle the Wood from The OP Bar and Grill, 534 E. Victory Way; Mathers’ Bar, 420 Yampa Ave.; J.W. Snack’s Bar & Grill, 210 E. Victory Way; and Kmart, 1198 W. Victory Way. For more information about Whittle the Wood, call 970-826-2029 or visit http://www.whittlethewood.com, http://www.facebook.com/&#8230;> or http://www.twitter.com/w&#8230;>. For more information about the Car Show’s activities, which includes cash prizes for entrants and a poker walk for spectators, call 970-629-9600 or visit http://www.facebook.com/brylcarshow.